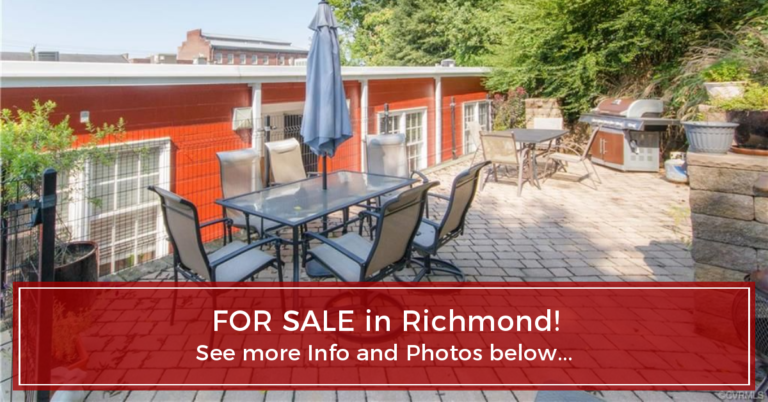 Nestled just above Shockoe Bottom yet just below Church Hill, this condo’s location is ideal for those seeking the ultimate RVA urban living experience. Dining out? Choose from a plethora of nearby celebrated restaurants. Partying in the Bottom? No worries, because you’re close enough to walk but far enough to leave it all behind when you get home. Cooking in? Farm Fresh is just a block away…and don’t forget the 17th Street Farmers’ Market. Grilling out? Any time you like, as you’re just steps away from the oversized communal patio with chaises, dining tables and a premium quality gas grill. And moving in will be a breeze…enter your home right from the sidewalk…no stairs! Other pluses include assigned off-street parking and ample on-street parking right outside your front door, a brand new roof, all exterior improvements completed, and fresh paint within. Come live where old and new Richmond join hands! Find out your home value NOW!